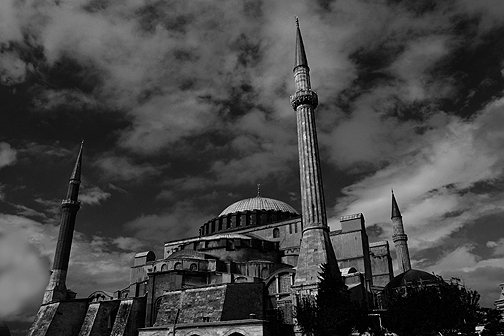 I recently returned from visiting Turkey, Greece, and Croatia. As always, I collected stories along the way as I visited ancient Greek and Roman ruins, Byzantine palaces, historic mosques, and more. Some of the strangest are as follows. 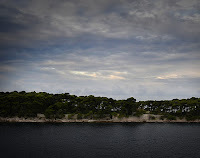 Daksa Island, in the Adriadic, lies within swimming distance of the Croatian city of Dubrovnik. The island's haunted reputation arises from a legend about 48 presumed Nazi collaborators that were executed without trial on the uninhabited island at the close of World War II. 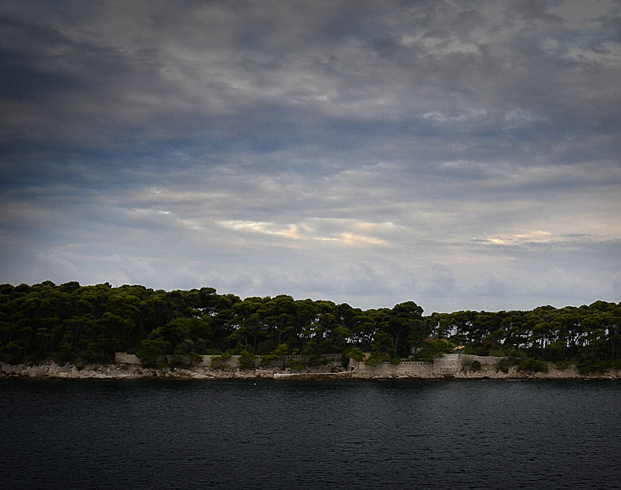 Also close to shore is the neighboring island of Lokrum, which has its own dark legends. The curse, they call it, befell the island when occupying French forces ordered a 13th century monastery on the island to be shuttered. The Benedictines who were removed leveled a curse against anyone claiming ownership of the small island. It seemed to work almost immediately, three of the aristocrats who colluded with the Benedictine expulsion met with untimely deaths shortly thereafter. A wealthy seaman, Captain Tomaševic, took over the island next and it nearly bankrupted him. The Archduke Maximilian, the younger brother of the Austrian Emperor Francis Joseph I, took up residency next, restoring the monastery as a home for he and his wife. The idyllic sanctuary was shattered when Maximilian was sent to Mexico in 1864 as governor. He was shot to death less than 3 years later. After the city of Dubrovnik refused to purchase the island--even for an extremely paltry sum--a man named Dujmovic from Poljica purchased Lokrum and scandalously met economic ruin soon after. His nephew soon inherited the island, but he drowned crossing the short distance from the shore to the island when his boat capsized in a strong wind. Once more the Hapsburg's took control off the island. Rudolf, the remaining son of Emperor Francis Joseph I and his bride Elizabeth, visited the tiny island with the big curse with his wife Stefani. Legend tells that a small earthquake shook the region the moment they stepped ashore. While initially a blissful tenure, things grew darker when Rudolf fell in love with his mistress Maria Vecer and, for reasons unexplained, they took their lives in a double suicide. Empress Elizabeth decided they needed to be rid of the accursed island and so she sailed from her palace on Corfu to offer a large sum of money to the Benedictines if they took the island back. But the brotherhood stood firm on their decree to never return to the island. So, the family offered the island to the Dominicans with the provision that the Hapsburg family could repurchase the island if they so chose to. And they did. The granddaughter of Francis Joseph I, Princess Elizabeth Windischgratz, purchased Lokrum in 1879. But the title wasn't transferred immediately. When it was finally put down into the family name again, tragedy struck. Empress Elizabeth left her palace on Corfu to return to Geneva when she was shot and killed by an Italian anarchist named Lucceni. The mishaps for the Hapsburgs are legendary, including Archduke Francis Ferdinand whose assassination kicked off the first World War. But legend tells that the island's curse is still palpable and that many non-famous or historical persons have fallen to it. Few, they say, have stayed long of the cursed island of Lokrum. In the summer of 1969, a rain of frogs fell on the city of Istanbul. Famed anomalist Charles Fort collected many such accounts of "falls," as they're termed. Some may be explained by weather anomalies, but other far more unusual reportings are harder to rationalize. 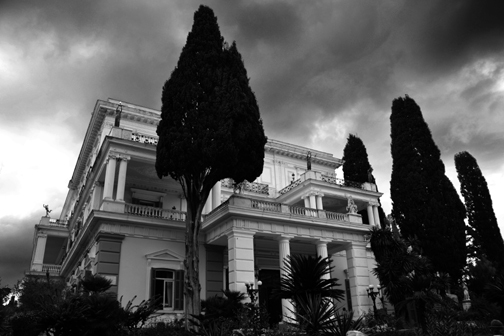 Some say the famous Empress Elizabeth of Bavaria still walks the halls of her Achillion Palace on the island of Corfu. On the Greek island of Crete, at a 14th century Venetian fortress known as Frangokastello, the Drosoulites come each year. These "Dew People," so named for their arrival with the morning dew, are shadow wraiths that ride horses and walk with weapons like a phantom army from the monastery at Agios Charalambos to Frangokastello. Legend has it that these are the Greeks who died in the battle of May 17, 1828. 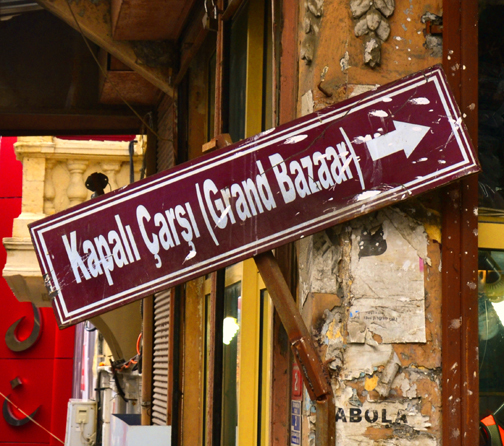 In 1890, Turkish soldiers fled in fear at the sight of the Drosoulites. In World War I, German soldiers opened fire when they mistook the spirits for enemy soldiers. Imagine their surprise at learning the truth. It's believed the ancient Roman spirits-lares and lemures-that once reigned over the palace of Diocletian in Split, Croatia still skulk about in the shadows. 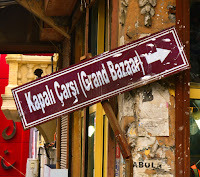 Some believe that Istanbul's Grand Bazaar--one of the largest and oldest shopping centers--is not only haunted but built around a portal leading to another dimension, doubtlessly some evil one. Long shuttered away, the Museum of London's Crime Museum was once set up to train police and forensic officers. Now anyone can get a glimpse of these famous mementos of notorious crimes: masks used by the Stratton brothers, Champagne belonging to the Great Train Robbers, implements of forgery, secret Soviet spy messages, handwritten notes written by Donald Swanson, Senior Investigating Officer on the Jack the Ripper case... The list goes on. Find out more at the Museum of London's website.